Villa Albani was built by Carlo Marchionni for Cardinal Alessandro Albani, nephew of Pope Clemens XI. Here the Cardinal gathered a celebrated collection of classical sculpture which was ordered by J. J. Winckelmann in 1765. 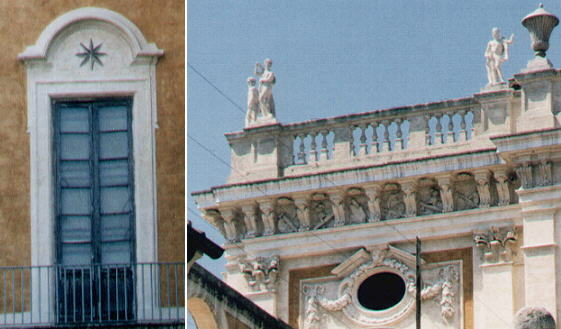 Financial needs, ravages by Napoleon, upturns of life forced the Albani to sell their villa to the Chigi, who eventually sold it to the Torlonia (the most affluent family of XIXth century Rome) to whom the villa still belongs. 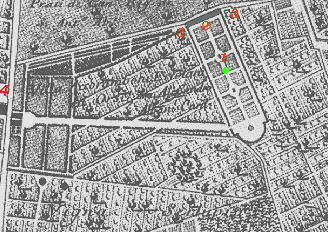 The view is taken from the green dot in the small 1748 map here below (the casino was not yet built). 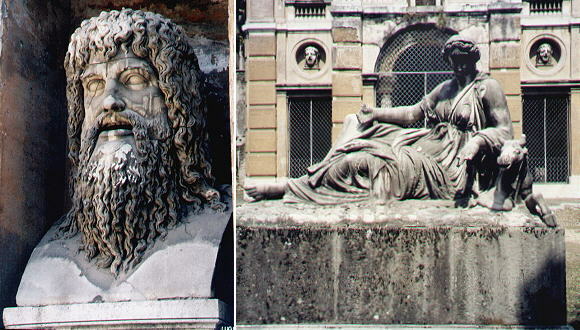 In the description below the plate Vasi made reference to: 1) Fountain with old statues and Egyptian granite cup; 2) Laying statue; 3) Porticoes with statues. The small map shows also 4) Tomba di Lucilio Peto. 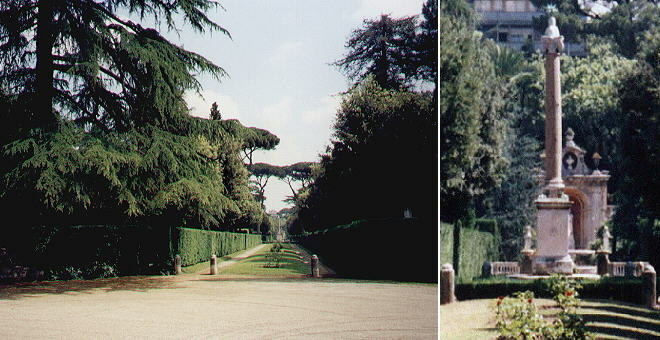 Although the villa is now surrounded by modern buildings the gardens are large enough (and very well maintained) to recreate the set for the elegant life of Cardinal Albani. The column still bears the heraldic symbols of Clemens XI and a few statues have escaped ravages and auctions. They represent gods and goddesses of the Ancient World in line with the neoclassical revival promoted by Winckelmann. Read Henry James's account of his visit to Villa Albani in 1873. The main building has a special prettiness deriving from its use. 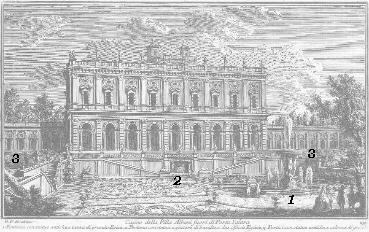 In fact the villa was used only for short vacations (the Albani having their city palace near Termini - just a mile away). They came here to walk and play in the gardens and to dine and dance in the building. 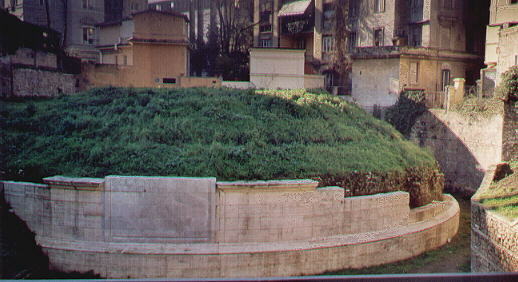 In Via Salaria almost opposite the entrance to Villa Albani excavations led to the discovery of the tomb of Lucilius Paetus and his sister Lucilia Polla. They lived at the time of Augustus and their tomb follows the pattern of Mausoleo di Augusto. The little hill was covered with trees. 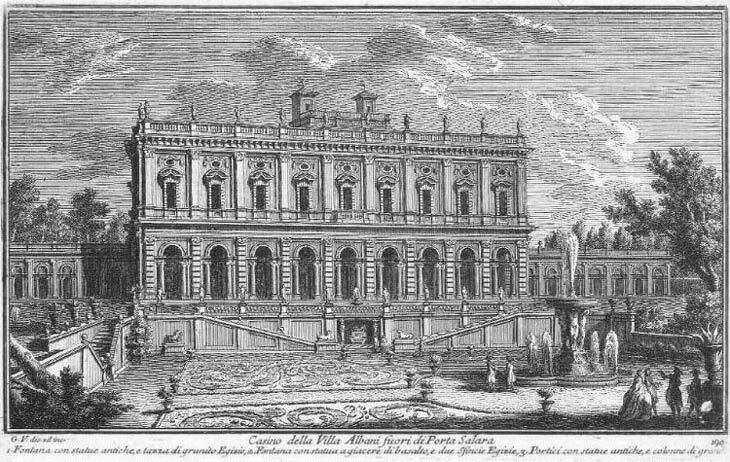 Villa Albani Nobilissimo è il casino di questa villa, e quando sarà terminato sarà di sommo pregio, e lode al Cardinale Alessandro Albani, che lo ha eretto. Contiene questo gran numero di monumenti antichi, di statue, busti, bassirilievi, iscrizioni, colonne, e tante altre cose rare, e preziose, disposte con tanto buon ordine, che fa stupore a vederne solamente il numero; perciò taccio ogni altra cosa, affinchè il Lettore meglio le noti da per se.